(Reuters) A regional free trade agreement being negotiated in India this week will hurt the livelihoods of farmers, women and indigenous groups and increase conflicts over land as businesses get easier access, rights groups said on Tuesday. The Regional Comprehensive Economic Partnership (RCEP) would create a free trade area of more than 3.5 billion people, bringing together China, India, Japan, South Korea, Australia, and New Zealand as well as Southeast Asian nations. Talks began in 2012, and it is currently the only mega free-trade agreement being negotiated globally. The 16 nations aim to conclude negotiations by the end of the year. Campaigners who met in the southern Indian city of Hyderabad, which is hosting the RCEP negotiations, are protesting against the deal, calling it "anti-farmer, anti-women, and anti-poor," and are asking governments to protect their rights. "Women farmers are going to be the worst affected by this agreement, which will encourage more land grabbing for corporate use and impact on their livelihoods and food sovereignty," said Burnad Fatima of the Federation of Women Farmers’ Rights. "It will take away the traditional livelihood of farmers and indigenous people and force them to seek other jobs," she told the Thomson Reuters Foundation by phone from Hyderabad, where women’s groups held a protest against the RCEP on Monday. Ms. Fatima said the takeover of land for industrial use had a disproportionate impact on women farm workers as men could more easily migrate to find alternative jobs, leaving women to provide for their children and aged parents. Analysts are increasingly questioning the benefits of free trade deals, which some say have led to job losses, stagnating incomes, growing inequality, and a decline of the public sector, with falling investments in health care and education. "The RCEP and other trade agreements put businesses first, and give multinational corporations the right to govern at the expense of women’s livelihoods and the environment," said Kate Lappin of advocacy group Asia Pacific Forum on Women, Law, and Development. Standoffs between the state and farmers have risen in India as demand for land increases, affecting millions of people. About 65 million farmers and villagers were displaced in India by highways, mines, power plants, and airports between 1950 and 2005, according to the Geneva-based Internal Displacement Monitoring Centre. 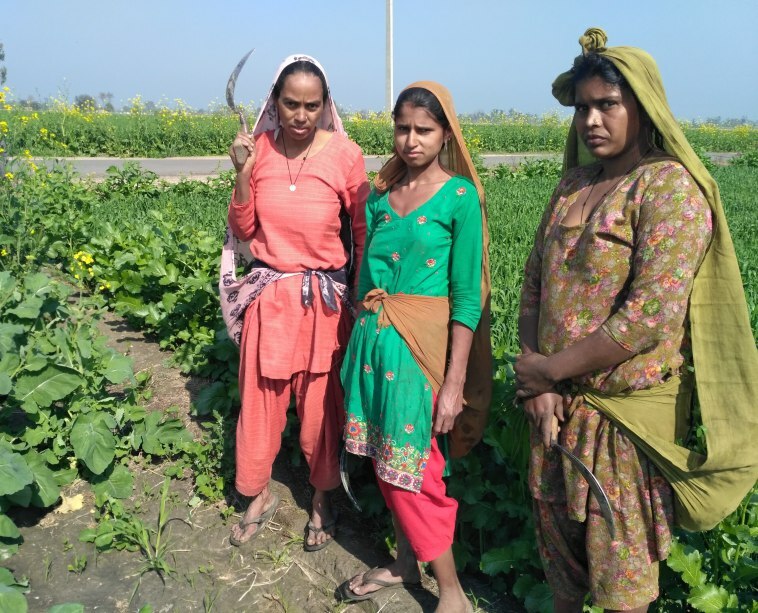 Three-fifths of India’s population depend on land for their livelihoods, with an increasing share of women working on the land as falling farm incomes drive men to migrate to find jobs. The McKinsey Global Institute said employment in Indian agriculture shrank by 26 million jobs between 2011 and 2015. Government officials say trade deals are key to boosting economic growth and exports. India’s Commerce Secretary Rita Teaotia called for greater inclusiveness to inform the negotiations. The RCEP’s "real success will be measured by its ability to bring prosperity, economic growth, decent living standards, new jobs, and greater business opportunities for people of our region in an equitable manner," she said.